Are you a DC-based, woman-run organization that supports women entrepreneurs? Apply for $500-$10,000 to support innovative and collaborative initiatives through the 2017-2018 BEACON Grant Program. Applications are open until July 15th - Apply Today! The BEACON Grant Program is accepting applications for innovative initiatives in support of DC-based women entrepreneurs. Eligible organizations can apply for up to $10,000 in funding. Find out more and apply today! The BEACON-powered panel at #innoMAYtion's Hackathon for Women and Youth in STEM & Entrepreneurship, candidly shared insight on the journeys of women entrepreneurs in DC. 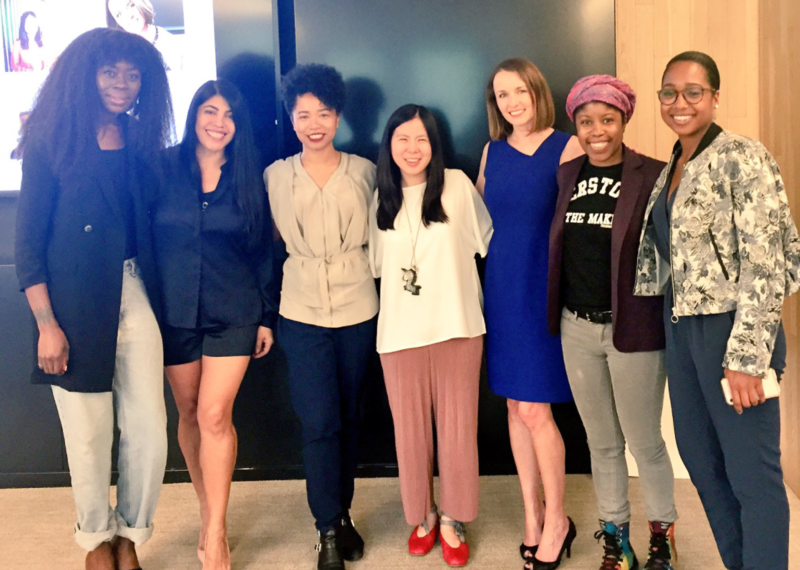 Panelists included Ximena Hartsock of Phone2Action, Monica Kang of InnovatorsBox, Danielle Tate of MissNowMrs.com, Desiree Venn Frederic of Nomad Yard Collectiv, and DeShuna Spencer of kweliTV. Did you miss it? Check out a short snippet of Frederic's remarks. Also, many thanks to all BEACON community members who expressed interest in serving as panelists. There will be more opportunities to come! BEACON also joined Google, JP Morgan Chase and Project 500 for the Ascend 2020 launch. This collaborative initiative will support the growth of minority-, women-, and veteran-owned small businesses in underserved neighborhoods across DC. Haven't heard of Project 500? Check it out and find out how you can access these resources. Lastly, we celebrated the 2017 Tech Titans, celebrating Washington, DC's 100 Top Tech Leaders. Congrats to four BEACON board members who were honored: Aerica Banks, Alexandra Givens, Shana Glenzer, and Anna Mason. Check out the full ranking here. Black Female Founders, co-founded by BEACON board member Xina Eiland, is featured in Founders of Color's Minority Entrepreneurship Start-Up Ecosystem Map. Be in the know about all programs and organizations highlighted, here! How do you pitch without giving away your intellectual property? What corporate formation is best for your business operations? If you have these or other legal questions, let us know! BEACON is partnering with ChIPs to produce a full-day legal summit for women entrepreneurs. Let us know your needs so we can make the workshop most impactful. Please complete this short, four-question survey.